NASA: Rumors Of Impending Doom Are Greatly Exaggerated : The Two-Way The space agency says "numerous recent blogs and web postings" that a giant asteroid will smash into Earth next month are just a hoax. Dwarf planet Ceres is seen in the asteroid belt between Mars and Jupiter, where it resides well away from Earth. NASA is hoping to quell online rumors that a massive near-Earth asteroid is due to hit us next month. Have you heard that a giant asteroid is due to strike Earth sometime between Sept. 15 and Sept. 28? If so, you probably thought it was a hoax. And you'd be right. The space agency, in a statement, said: "On one of those dates, as rumors go, there will be an impact — 'evidently' near Puerto Rico — causing wanton destruction to the Atlantic and Gulf coasts of the United States and Mexico, as well as Central and South America." "If there were any object large enough to do that type of destruction in September, we would have seen something of it by now," Paul Chodas, manager of NASA's Near-Earth Object (read: close meteors and asteroids) office at the Jet Propulsion Laboratory, said in the statement. "In fact, NASA's Near-Earth Object Observations Program says there have been no asteroids or comets observed that would impact Earth anytime in the foreseeable future. All known Potentially Hazardous Asteroids have less than a 0.01% chance of impacting Earth in the next 100 years," the statement added. 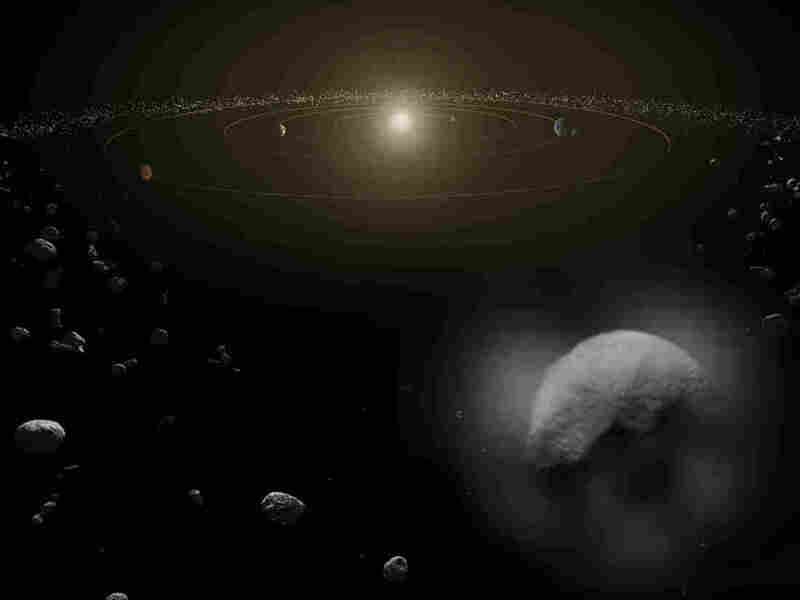 But what if an asteroid really was barreling toward an impact with Earth? Could we stop it? NPR's Jacob Goldstein spoke with former astronaut Ed Lu in a piece that aired on All Things Considered on Thursday. Lu runs a foundation that's trying to figure out how to put an asteroid-detecting telescope into orbit; he says he'd need about $500 million to do it. As Jacob points out, that is coincidentally about how much people around the world paid to see the 1998 movie Armageddon, in which Bruce Willis plays a miner-turned-astronaut who is tapped by NASA to fly into space and save the world from a rogue asteroid.